Here, it says how to use the audio jack as in input. On my MacBook Pro 13" (mid 2012), It doesn't seem to have the option in settings. Is it not possible with these computers? 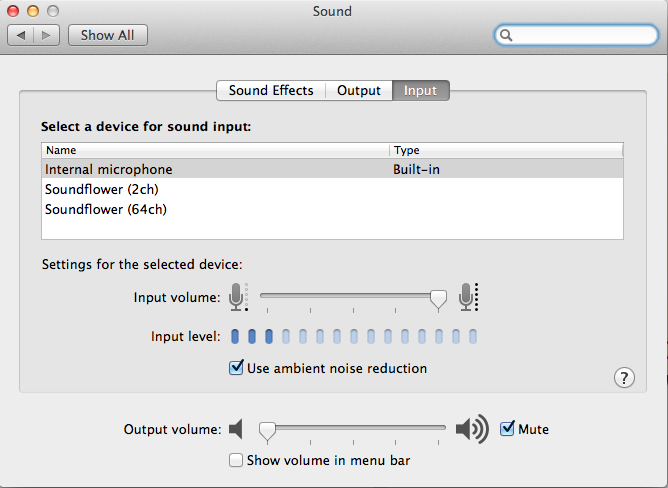 Actually it is possible to use external microphone on MacBook pro and Air 2012 Models. It looks like Apple has redesigned it to be a multifunction plug, without telling us in plain English. What they do say is you can use the Apple iPhone headset with microphone! Now that is a Hint ! Since there are multiple options to connect a microphone lets take a look. 1 - For stand alone microphone with cable you could use a USB connector type or Audio to USB converter. 2- You could use a BlueTooth type microphone/Headset. 3 - And last not least, you could actually use your Headphone (as marked) the 1/8 inch plug, but NOT with standard audio plug. Here is the how: The plug is like the headphone port on iOS devices, this jack supports audio input as well as output—with as described in Apple specification. Looking under the hood of Apple "About this Mac" you get the answer (it says it does support it). The microphone or headset in question must be of the three-ring variety, just like Apple’s headsets. The fourth pin (ring) is for the microphone ! OK, what now? Lets assume you insist on using your microphone!!! 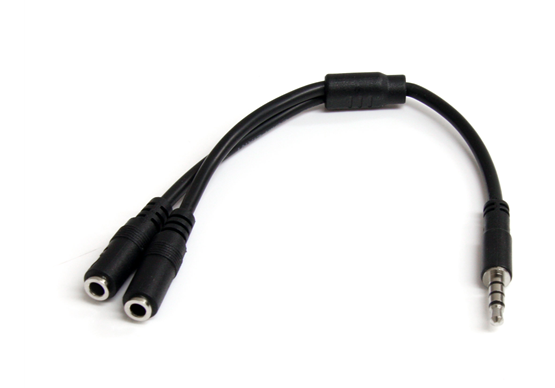 ... this headset splitter adapter breaks the audio port out into two distinct ports - one that can be used for a microphone input connection, and the other for connecting external (output) speakers. I found stores in Europe (for about €10), but sure you can find it where you are. The Griffin iMic is probably the most commonly touted solution for this "new" problem. This way you can monitor through the headphone jack, and the USB headphone jack also....I would assume. Maybe it's one or the other, however. Either way the digital solution may improve signal quality also. There are other cheaper versions of the iMic but it seems Griffin was like "Hey Apple, want to make a computer that's missing stuff so we can make some more money?" I hope this helps with the "no line-in" problem on the 13" MacBooks and the new 27" iMacs. As well as the "My line-in doesn't recognize my mic" problem. Alternatively try that 3.5mm 4 Position to 2x 3 Position 3.5mm Headset Splitter Adapter - M/F that Buscar mentioned above. I post my solution hoping it can help someone. I've have a MBP mid-12 13in, with the so-problematic unique audio jack. I'me sure that external&internal usage is possible because of the iphone headset test. So I bought the TRRS cable, and my first tests fails: I got an external audio detected, but no luck with the internal line. Download LineIn, it is a free open source app and it solves this problem. It worked beautifully for an old keyboard that I own. ... it doesn't mention audio line in (which it does for the 15-inch). Sorry for the bad news. One workaround is to buy an audio input device which plugs into USB. Try removing the soundflower driver. How could I output audio to the microphone port on Macbook Pro 15" Late 2011? Why doesn't my headset microphone work? What does a 2012 Mac Mini need for microphone input? 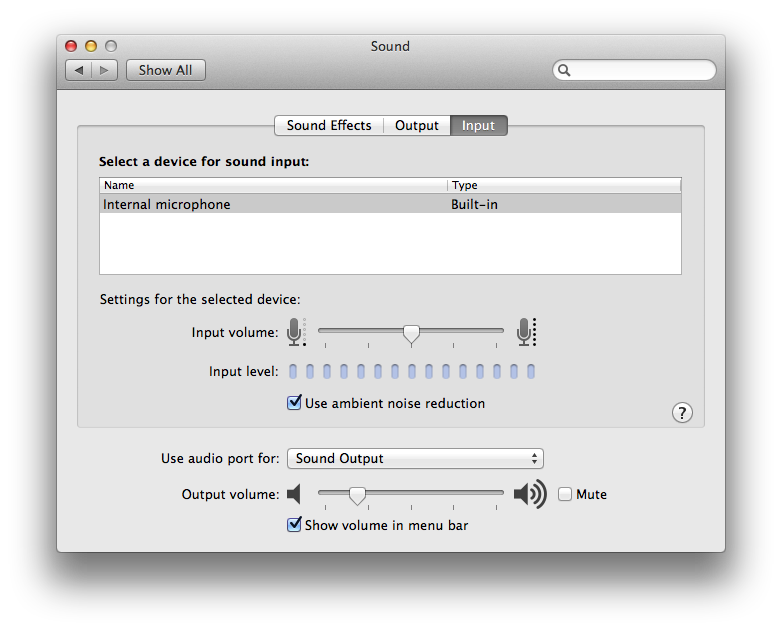 How do I determine if my Macbook pro has switchable audio input?